At least two people have died following a cholera outbreak in northwestern Zimbabwe amid fears that the onset of rains will trigger more cases and fatalities. 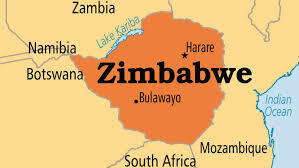 According to health officials on Tuesday night, the latest outbreak has affected 26 people in a mining area in Mount Darwin district to the northwest of the capital Harare where a similar outbreak killed scores of people between July and September. The officials said the first cases were reported on Sunday and so far two people have died. Most of the affected are artisanal miners who operate under squalid conditions. The outbreak comes about two months after health officials declared the Harare episode defeated. It also comes as the first rains of the 2018/19 farming season have just commenced following a late start. The rainy season is usually associated with the spread of water-borne diseases such as diarrhoea and cholera.